Willow Lakes community is sold out and is not in active development by builder. If you are interested in Willow Lakes or similar new home communities, contact us today! Our agents are very familiar with new and newer construction in Chesapeake, and can identify resale opportunities in Willow Lakes, as well as builder inventory available in nearby or similar communities in Chesapeake. To view 3 more pictures, interactive maps and the full, detailed description of the Willow Lakes community, please Login. The innovative new construction community, Willow Lakes, offers rural living within the city. Each property here is finely crafted by Franciscus Homes with an eye for the future. Adaptable Gen-Flex designs allow multiple generations to call one roof home, without sacrificing comfort, privacy, or lifestyle. A standard integrated floor plan has a great room that can be used as a home office or guest suite today, and can later be used as a completely independent suite. Each new construction property at Willow Lakes may come with a patio, covered porch, gas fireplace, tray ceilings, two-car garage, recessed lighting, hardwood flooring, dual master bathroom sinks, stainless under mount kitchen sink, decorative backsplash, stainless steel appliances, pendant lighting and much more. Choose from models that allow flexibility with their designs. 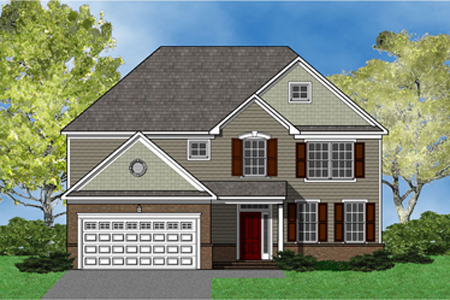 The Ambrose has 1,952 square feet, four bedrooms, three baths and an over-sized kitchen. The Willow comes with 2,278 square feet, four bedrooms, three baths and a large living area. This Chesapeake development is situated within a desirable of part of Hampton Roads, VA. Three major interstates are nearby, and Military Highway is not far either. Service members can commute to area bases like Naval Medical Center Portsmouth, Norfolk Naval Shipyard and Coast Guard Base Portsmouth. Enjoy room to spread out in these wooded home sites that are larger than a 1/3 of an acre. Take frequent trips to nearby Great Dismal Swamp National Wildlife Refuge to see native wildlife or go fishing. Get to know your neighbors or just relax in the peaceful serenity of Western Branch. Move to where fun for the whole family is just around the bend. Send me more information about communities similar to Willow Lakes. Our agents gladly offer FREE property tours of Willow Lakes, Chesapeake and homebuyer consultations to all serious buyers.